I watched a movie with my in-laws this weekend. 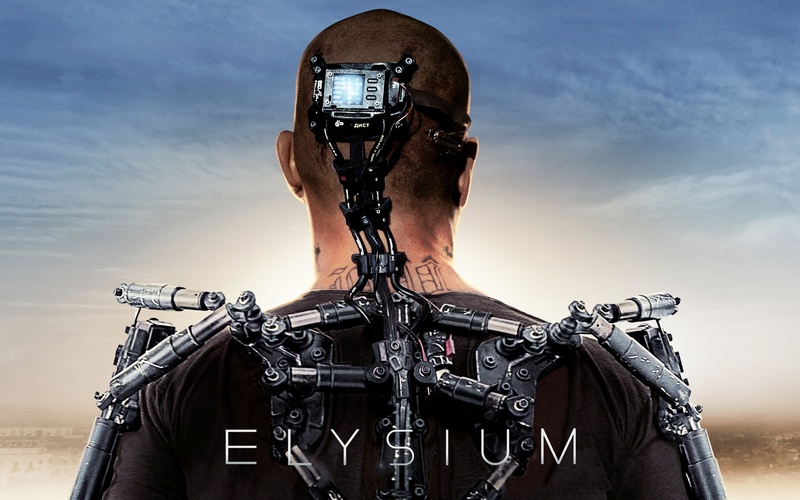 The movie was Elysium, with Matt Damon. Sci-fi with a tense, emotional plot. Good, but a bit predictable. Overall, you’d like it. Now, watching with my in-laws is a different story. Geoff’s mom gets pretty emotional during movies. Within the first few minutes, she started up a chorus of “Mmm”s and “Oh”s. By the midway point, she was hiding under a blanket because of the violence. Near the end there was a minor twist that seemed obvious to me, but she clearly didn’t see it coming. “Oh my god!” she screamed when one character was stabbed, as if she had been hurt herself. It was slightly amusing but distracting to watch with her. I kept thinking back to when I was a kid and my mom used to promise me that nothing on TV was real. “It’s all just pretend,” I wanted to tell her, but I didn’t. I actually felt way more sucked into the movie because of her reaction to it. Then we had Geoff’s dad, the analyst, who about halfway through the movie announced the sequence of events leading up to the end. No, he’d never seen it before. But he totally called it. He was unaffected by the violence, not emotionally engaged with the plot at all. Cool and clear-headed—you should have seen him. My in-laws have been married for a long time, 37 years this month. They are a great couple. Before this weekend though, I’ve often thought that they couldn’t be more different. They have different interests, different hobbies, different friends. They have completely different attitudes about most things. Watching the movie with them, it all clicked. They balance each other. One is emotional, the other intellectual. One is rational, the other irrational. Together, they complement each other. They fit together like pieces of a puzzle, and they experience life as a team. Are all marriages like that? Does each person play a role, filling in for the other’s weaknesses, benefitting from their partner’s strengths? Is that how mine works? Maybe, but it’s more subtle than my in-laws’ relationship. I’d like to think that Geoff and I are a team, but we are also pretty good on our own. I’m going to give this some more thought. And if you ever watch a movie with me, do not tell me how it ends. I hate that.